By solving previous year question papers of NTSE, a students can identify the preparation level. What he studies or not completed their whole or not. So, the students must solve the NTSE previous year question papers. Most of the students are unaware the exams pattern of the NTSE. So, if a student solves the NTSE previous year question papers, he will understand the exams pattern of NTSE. 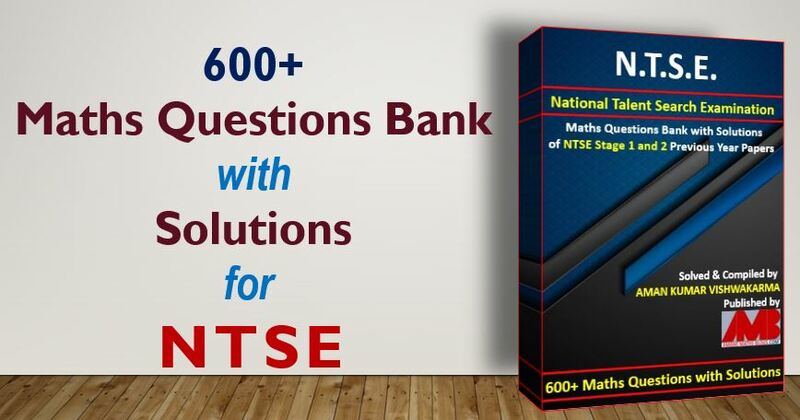 The question paper of the NTSE contains different sections like section A, section B or matrix match type true false etc question of NTSE, the students must know the different level and the marking scheme of the exams. As we know that, there are a lot of questions in NTSE exams and all the questions are to be solved in a given time frame. Most of the students are well known concepts, syllabus, pattern and their difficulty level of NTSE. But how to solve those tricky questions in the given time frame. It will be learnt by solving previous year question papers of NTSE. After completing the whole syllabus of NTSE, it is time to reverse all those concepts tips tricks etc. before appearing the exams of NTSE. To revise all these concepts, the students must solve the previous year papers of NTSE. By solving the question papers of NTSE, a student quickly revises all his syllabus of NTSE. When a question paper is compiled for the NTSE in upcoming year, the question paper makes take a reference of its previous year question paper of NTSE. So, he may decide some question is to be same in upcoming year. Therefore, the students must solve the NTSE previous year question paper. It may be possibility of a repeat question will be asked in upcoming year. If you want to feel the examination hall pressure on that day of NTSE exam, you need to solve the previous year question papers of NTSE and try to solve in given time duration of the papers. So, the students must try to solve the previous year question paper of NTSE and feel the exam pressure. So, the students, this maths niche website AmansMathsBlogs(AMB) provides all the NTSE Previous Year Question Papers With Answer Keys Tamilnadu at one place means on this page. There are a lot of competitive exams like IIT JEE, SSC, NTSE, NMTC, government jobs exams, entrance exams for admission in school colleges, CBSE or other boards exams. Therefore, the students must try to solve NTSE Previous Year Question Papers With Answer Keys Tamilnadu competitive exam. To download the NTSE Previous Year Question Papers With Answer Keys Tamilnadu as a pdf, simply click on the links. It will open in a new tab with their supporting file.